Thanks to testing from Kevin's maternal 2C cousin, we know that our family's mtDNA haplogroup is H16a1. Although that doesn't tell us much yet about our deep maternal line, we should learn more in coming years as more people test. Although mitochondrial DNA (mtDNA) is passed from a woman to all her children regardless of gender, only females pass it on to the next generation. My brothers and I all have the same mtDNA haplogroup, but their children will carry their mother's mtDNA haplogroup - not ours. 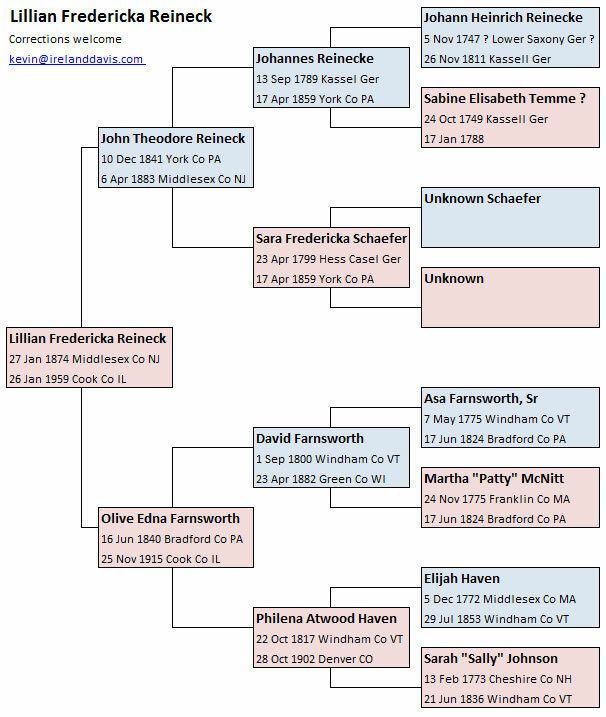 Our earliest maternal-line ancestor is Sarah "Sally" Johnson, born on 13 Feb 1773 in Chesterfield, Chester County, NH. Her parents are unknown. See the Lillian Reineck chart below for more information. 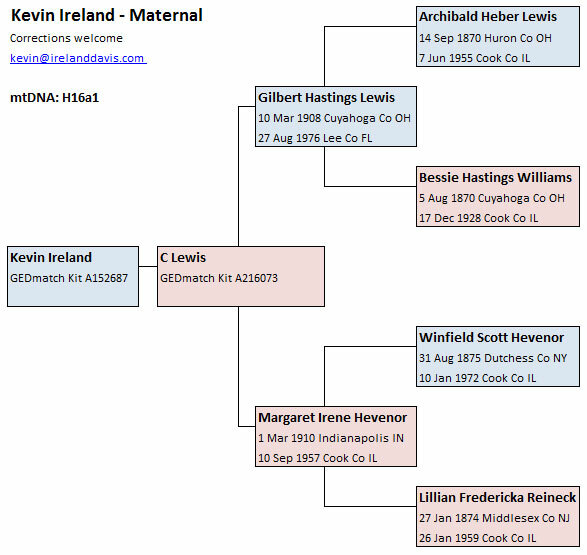 This chart shows how Kevin and his mother are related to his four maternal great-grandparents. 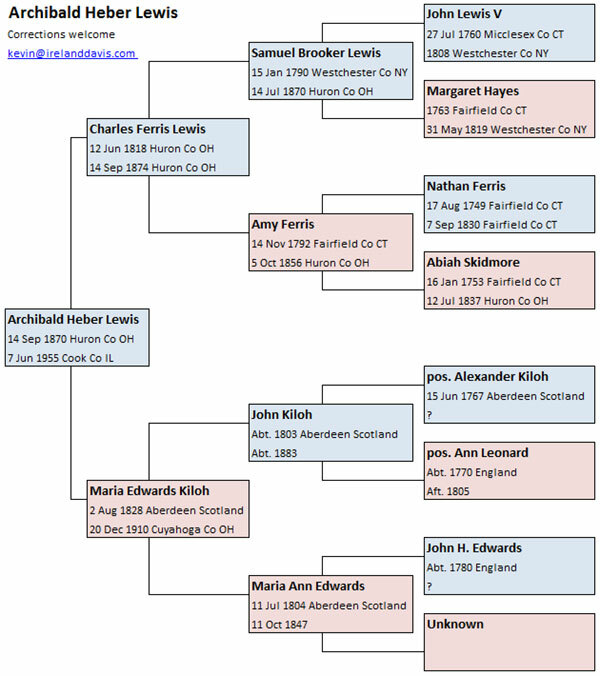 The ancestral charts for the four great-grandparents follow below. The information about John Kiloh and his wife Maria Ann Edwards is believed to be accurate. Their ancestry should be considered speculative. 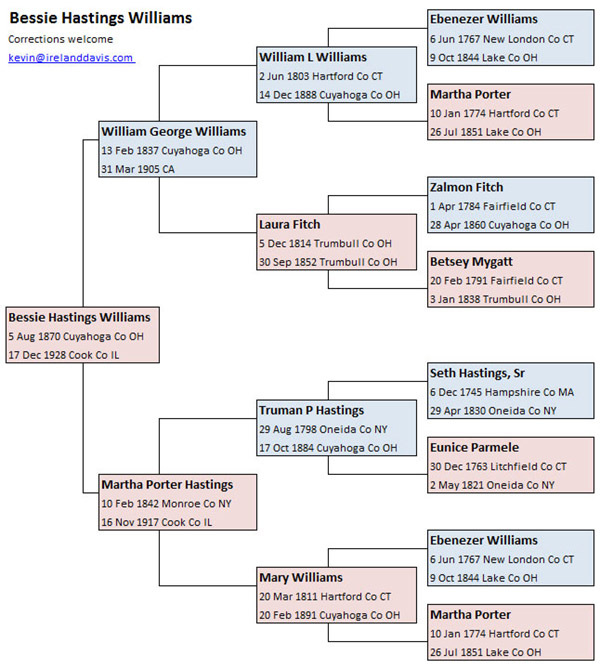 Bessie's father married his Williams first cousin. 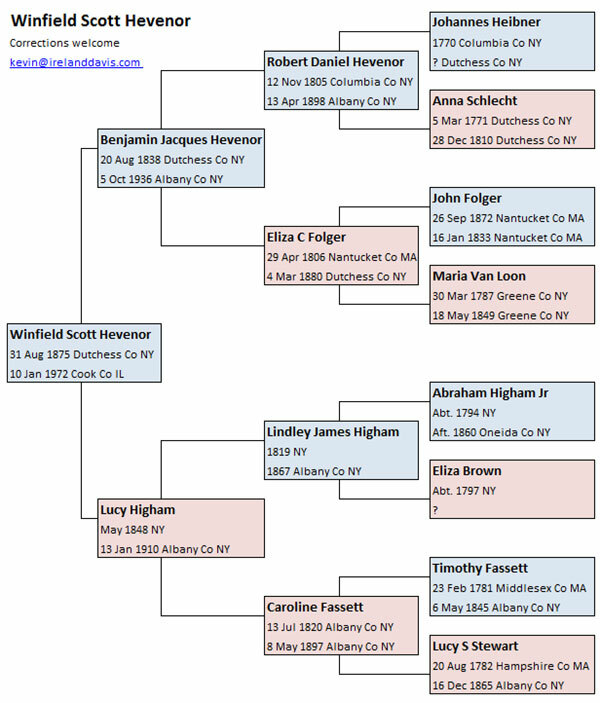 All descendants of Lillian on their maternal line are members of mtDNA haplogroup H16a1. Parental information for Johannes Reinecke (1789-1859) is disputed; use my information with caution. His wife's parents are yet unknown.